General Motors is recalling two of the popular 2014 model trucks, the 2014 Chevrolet Silverado 1500 and GMC Sierra 1500 full-size pickups because of a problem involving the manual reclining seatbacks that may fail to perform adequately in a rear collision. Silverado 2014 has been redesigned from front to back with a new platform by General Motors with options for three new forceful fuel-thrifty engines, and sophisticated electronic controls to make the big rig easy and safe to drive. Vehicles involved in the recall comprise a total population of 21,721, 2,575 in Canada, 103 in Mexico, 71 exports, and 18,972 in the U.S. The notice from GM says, “these trucks have manual front seat reclining seatbacks that might fail to meet a federal safety requirement for dynamic performance if struck from behind”. GM is not aware of any accidents or injuries related to this issue BUT will notify owners and dealers in order to inspect the seatbacks and make the necessary adjustments. The service will be performed at no charge, covered under existing new vehicle warranty. During the government shutdown, no recall notices were posted on the National Highway Traffic Safety Administration (NHTSA) website. The automaker said it is not aware of any accidents or injuries related to this issue. Even though they designed multiple suspension setups and a choice of rear-wheels, General Motors is addressing the issue involving manual reclining seatbacks that may fail to perform adequately. The performance needed in case of a rear collision may falter and fail to function properly, thus recalling the model year 2014 Chevrolet Silverado 1500 is necessary. 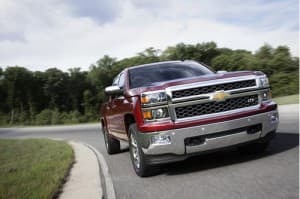 The following of the above steps will start the appropriate action to make sure your 2014 Chevy Silverado is compliant with Federal regulations regarding the Manual seat backs that may need to be adjusted according to standards. The sooner you call your Chevy dealer, the quicker the action in order to get the ball rolling in your direction. You can relax knowing that your vehicle is in safe hands and complies with the standards that are set by the National Highway Traffic Safety Administration (NHTSA)for the safety of the vehicle and for your protection.